May 18, 2016, Keelung, Taiwan - Lian-Li Industrial Co. Ltd announces the Ebonsteel Series – a new line of steel cases to offer customers affordable new options with exceptional value. 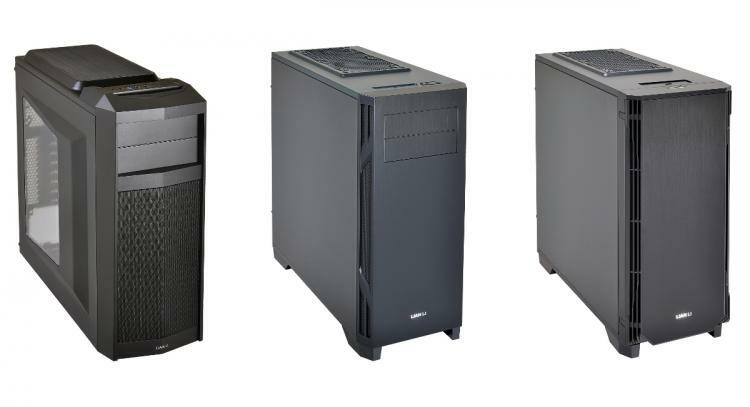 Three new chassis comprise this all-new case line: the PC-K5, PC-K6, and PC-K6S. All three mid tower cases are good choices for gamers on a budget; they offer competitive air and water cooling support, full ATX builds, and convenient building features. Lian Li has been known for its signature brushed aluminum aesthetic for decades. For many years, a number of customers have requested more affordable alternatives. The Ebonsteel series is intended to provide this option for those who seek the best value in PC cases. 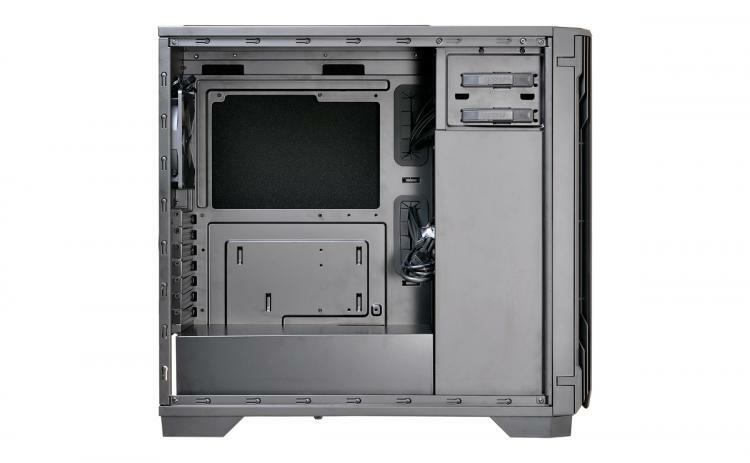 While these chassis are built with steel rather than aluminum, they are still very much Lian Li cases – tool-less building features, grommeted panel cutouts for cable management, vibration-dampened PSU mounts and drive cages, removable mesh filters on fan mounts – they include many of the bells and whistles of a typical Lian Li case! The PC-K5 is the first of the new Ebonsteel cases. It’s a mid tower chassis for ATX or mATX motherboards, including two removable drive cages storing a total of four 3.5” or four 2.5” drives. With seven expansion slots, builders can install VGA cards up to 250mm long with the cages installed, or remove one or both cages to install cards as long as 400mm. It accommodates 250mm ATX PSUs and CPU coolers up to 160mm tall. The PC-K5 uses two 120mm intake fans on the front panel and vents through a final 120mm fan in the back. Water cooling enthusiasts can mount a 120mmx240mmx60mm radiator on the top fan mounts, or simply add two additional 120mm fans. The front panel has two 5.25” bays and the top panel includes one USB 3.0, two USB 2.0, and HD audio inputs. 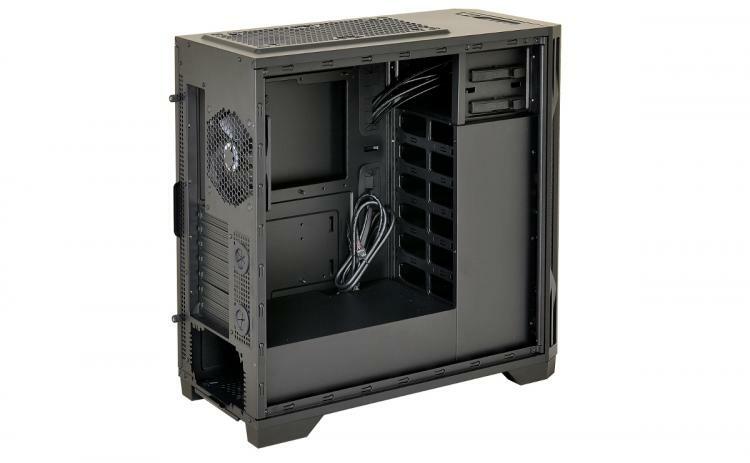 Like the PC-K5, the PC-K6 is also a mid tower chassis for ATX or mATX motherboards. It can mount a total of seven 3.5” or 2.5” drives, which face the panel opposite the motherboard. 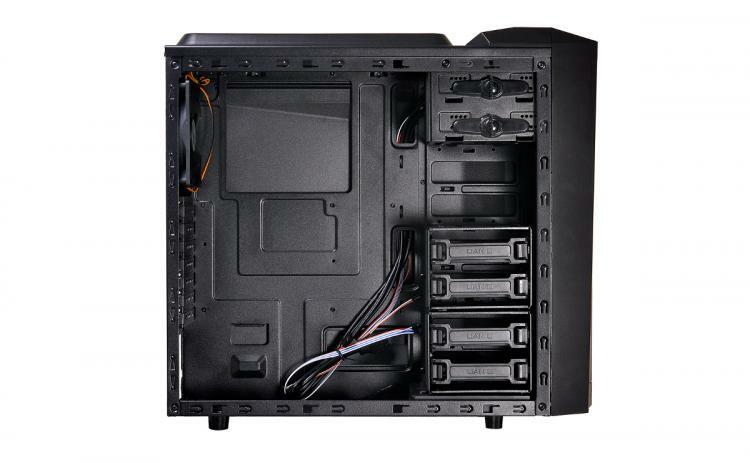 Similar to the new J-series cases, the drives and PSU are covered with steel panels, streamlining the compartment and keeping the motherboard tray and expansion cards in the spotlight. It can mount VGA cards up to 310mm long, PSUs 310mm long, and CPU coolers 170mm tall. Two 120mm intake fans draw air through the chassis and vent out an additional 120mm fan in the back. Builders can elect to instead install 140mm intake fans and add two additional 120mm or 140mm fans on the top panel. For those who insist on water cooling, the PC-K6 can mount a 120mmx240mmx60mm or 140mmx280mmx60mm radiator. The front panel has two 5.25” bays and the top panel includes two USB 3.0, one USB 2.0, and HD audio inputs. The “silent” model of the PC-K6 is virtually identical to the standard version, but with a few extra features. The PC-K6S uses sound-dampening foam inserts in the panels to isolate fan noise inside the chassis, mitigating its overall noise. The front panel on this version is hinged to swing open for easier access to the 5.25” bays and 120mm intake fans. It includes an extra USB 2.0 port, totaling two USB 3.0, two USB 2.0, and HD audio ports protected by a sliding metal cover. The Ebonsteel cases will be available in early June for K5, and late June for K6, K6S. The all-black PC-K5X is priced at £42.90, whilst the windowed PC-K5WX will be available for £46.90. Meanwhile, the all-black PC-K6X is priced at £79.90 and the all-black silent PC-K6SX at £89.90. The entire Ebonsteel range will be sold at Overclockers.co.uk on launch.